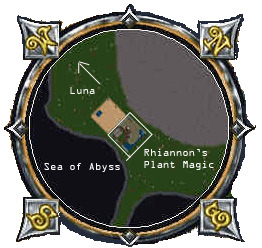 Directions from nearest permanent landmark: East of Luna almost at the end of the continent. Free runes are available at the shop for return visits. Description: Rhiannon’s Plant Magic grew out of a need I saw of having good products, organized logically, a nice comfortable shopping environment. I hate walking into a small marble place with 50 vendors on each floor, each one so disorganized, you have to open every bag to see what they have. To me, it’s like shopping at a junk shop with everything thrown in a pile on the floor. Rhiannon’s is different. I only have a few select vendors that sell the items that I specialize in. Each vendor has their items organized and well marked so the customer can easily find out if I am carrying things they need. I typically only carry items that me and my sisters specialize in (plants, scribed and tailored items) but do carry a miscellany vendor so I don’t have to throw away odds and ends that I find on my journeys. My prices are quite reasonable and I always have a nice selection of FREE yet useful items for my customers. Founder, brief history, and date of creation: This home was built a couple of years ago, however Rhiannon’s Plant Magic finished renovations November 2004. 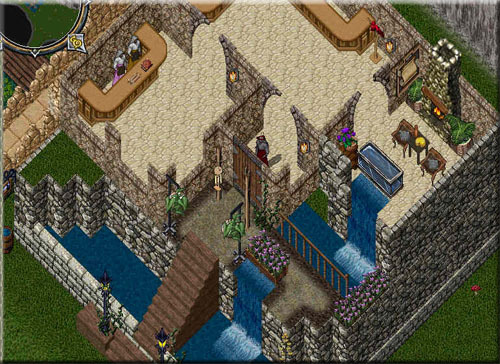 Founded by Rhiannon, who came to Britannia in 1997 after roaming many similar lands. Open Hours: Open 24/7/365, Rhiannon is typically at the shop most evenings and off and on on the weekends. Any weekly or regular events: Rhiannon’s Plant Magic has specials going on all the time. Check the red sale vendor for clearance and sometimes FREE items! Whether youre a part of the Role Playing Community: [steps out of character a moment] I role play 100% of the time I am doing anything UO related, including playing UO, or corresponding to someone about anything UO related. Heaven forbid when my step-son ICQs me and says “Hey Julie! Can you meet me at the liche camp?”.